However, when it asks me to select the amount of money I wish to withdraw, I can only get HKDs. Can RMBs only be obtained when using some specific debit or credit cards? I tried using a debit card issued by a French bank. You might need to contact your French bank and ask if they have any arrangements with Chinese banks. My Hong Kong ATM card just doesn't seem work anywhere in China despite enabling the functionality that allows this whereas my UK card seems to work in most major bank's ATMs. The largest denomination note in China is 100 RMB. 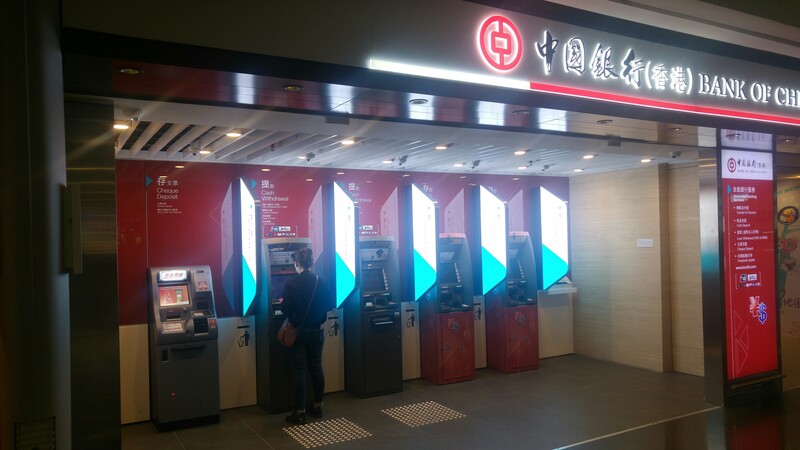 There are HSBC RMB ATMs in Mong Kok East, the main branch of HSBC in Mong Kok, in the HSBC office next to Olympic Station and next to the 2IFC tower on P1 of the IFC Mall. When my wife obtains RMB, which she does more often than I do, she goes to the money exchange shops. Not the answer you're looking for? Browse other questions tagged airports china hong-kong atms or ask your own question.